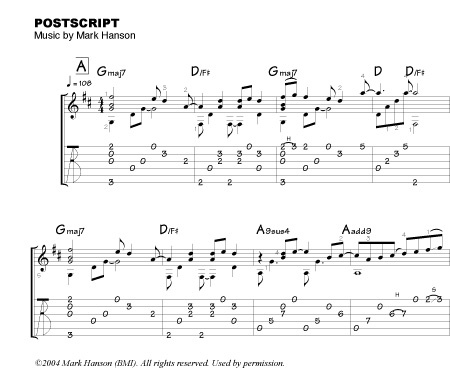 Postscript by Mark Hanson (at Acoustic Guitar), with audio. Jack Tuttle's site, lots of transcriptions and some mp3s. Jack teaches at Gryphon too, although I've not tried his classes.